I’m writing from my parents’ couch in Mantua, a small and ancient city a couple of hours from Milan, the city who hosted me for the first 18 years of my life; before moving to Padua for the University and then to Milan to start my “adult” life. 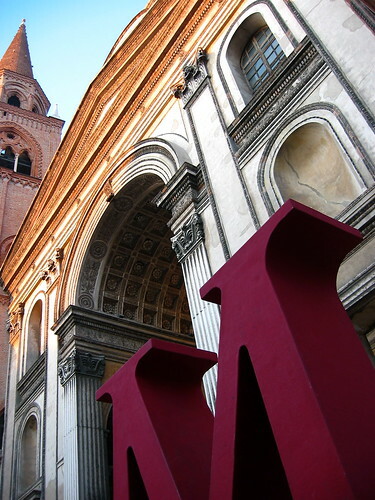 Mantova in the last 15 years has become a liveable city rich in culture events (Festival Della Letteratura, Mantua Jazz Festival, live concerts, etc. ), museums and, last but not least, an almost endless choice of restaurants. My wife always enjoys shopping in Mantua due to the small dimensions of the city itself: you can tour it by feet all its trendy shops in a couple of hours; and you can also stop by an excellent bar for a delicious cappuccino; doing this it’s not unusual to step by one of my childhood friends (just tomorrow I had a chat with Zelo, who’s now working part-time at a local bookshop plus continuing his artistic career). Life in Mantua is stressless and quiet; you can feel the raising lifestyle od the inhabitants; and the food is terrific. In Milan everything is fast. You don’t have time for nothing but business. Chaos & disorder are powerful forces in this city. Concrete is everywhere. You barely can use your car to do shopping but public transportation really deserve an empowerment. But I still leave in Milan. And I’m so happy with this that I just bought a new and bigger house (we’re still in the redesign phase; I’ll post some shots on Flickr once we cosolidate the architect’s proposal). I think that part of the answer reside in Richard Florida‘s theory on Creative Cities (and Milan is the Design World capital): The Frontiers of Interaction wouldn’t have been possible in Mantua; meeting with top-notch professionals such as Leeander, Simone, Flavio, the people at the Bicocca University, Fabio and many many others barely unthinkable. But the rest of the answer is about potential; Milan has the potential to become more liveable, to transform itself from the ground up cutting the distance between the city and its inhabitants; continuing to remain an innovative city. Milan is a city for the youngsters, for the makers, for the thinkers. Milan is a city where this is possible. But this and this too. My professional life is still based in Milan and my forecast is that this won’t change in the next 10 years. But I won’t age in this city: I prefere move my family to cities more similar to the one I was born in. I prefere a return to my roots while keeping my innovation potential intact. This entry was posted in Beef and tagged life, personal, work by admin. Bookmark the permalink.